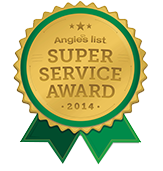 Ceiling fan and custom lighting repair and installation — all makes, models and sizes. Reversible ceiling fans circulate air and save both heating and cooling costs. 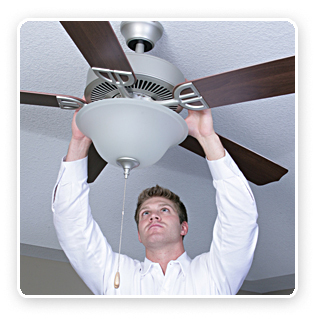 Ceiling fans can reduce summer air conditioning energy costs by up to 40%. For high vaulted ceilings, a fan can reduce heating costs 10%. EnergyStar rated ceiling fans are 50% more efficient than conventional fan/light units and can save more than $15 a month. We can recommend and install a ceiling fan for any ceiling, from high vaulted to ceiling hugger fans for lower ceilings. We’ll recommend the best ceiling fan model, size, height, lighting and mounting system for your home. All you do is enjoy the breeze! Custom lighting adds beauty and function. Ceiling fans increase comfort and can save energy. 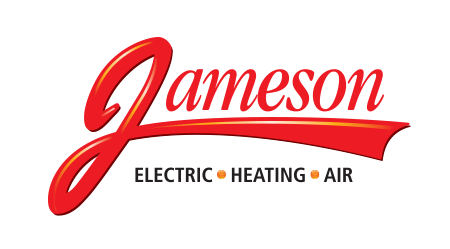 Call Jameson today – 855-297-4331.